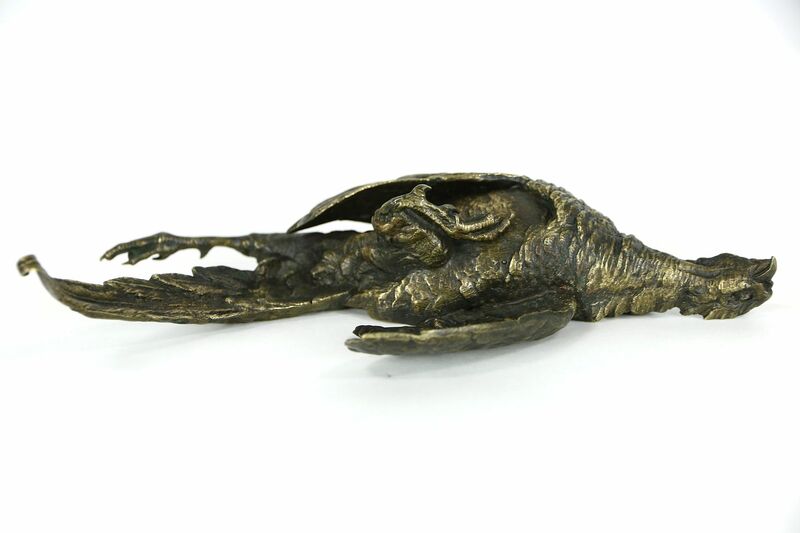 A bronze sculpture of a pheasant has two screw holes on the back, so it was originally mounted to something unknown. The dark patina of this 1890 era antique is beautiful, there is no signature. Size is 7 1/2" x 4" and 1 1/2" deep.